Berthe Morisot was a member of the circle of painters in Paris who became known as the Impressionists. She was described by Gustave Geffroy in 1894 as one of „les trois grandes dames“ of Impressionism alongside Marie Bracquemond and Mary Cassatt. Her work was selected for exhibition in six subsequent Salons de Paris until, in 1874, she joined the „rejected“ Impressionists in the first of their own exhibitions, which included Paul Cézanne, Edgar Degas, Claude Monet, Camille Pissarro, Pierre-Auguste Renoir, and Alfred Sisley. 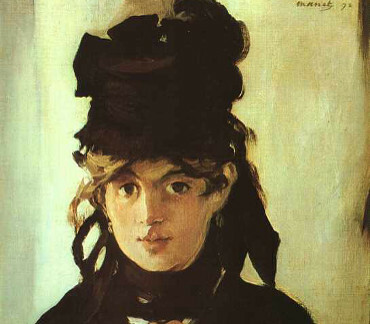 Morisot became the highest priced female artist in February 2013, when After Lunch (1881), a portrait of a young redhead in a straw hat and purple dress, sold for $10.9 million at a Christie's auction. French painter (1841-1895). 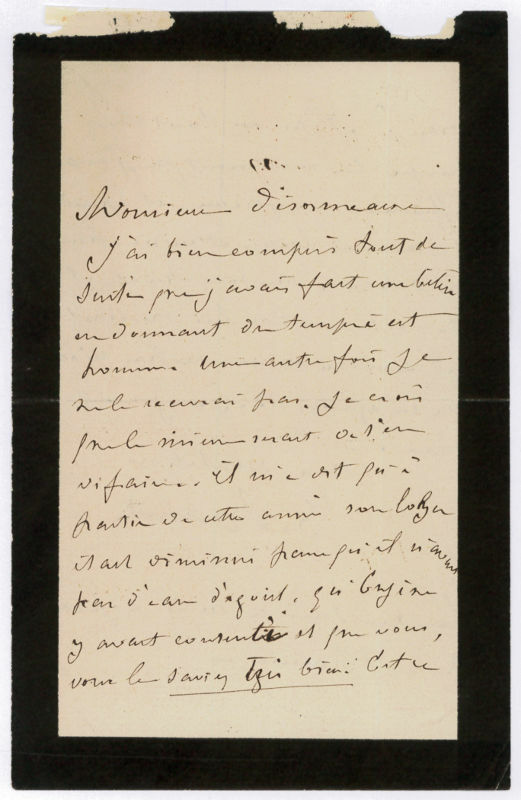 Autograph letter signed ("B. Manet"). N. p. 160:95 mm. 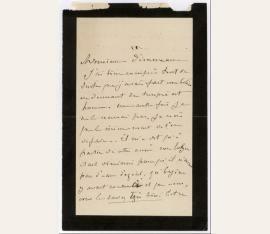 Two pages on a black bordered mourning card, twenty-two lines of text in black ink. To Monsieur Desormeaux. A rather lengthy note about business affairs, apparently pertaining to a tenant who lied to her about an arrangement he claimed to have made with her late husband (Manet's brother) before his death. - Neat central fold, a fine example.